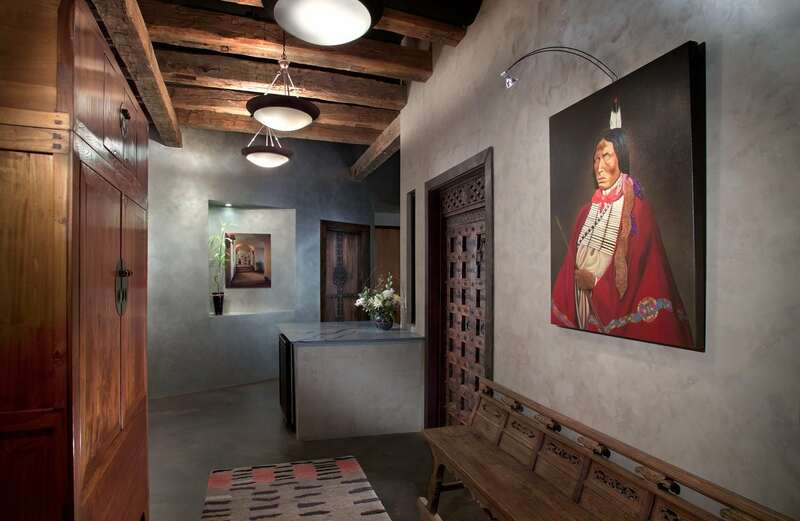 This contemporary office interior design with an Asian inspired feel, features local native artist paintings and artifacts from Asia. The architects’ office was designed to make a statement about the marriage of Asian influence (the architect’s) and Southwestern influence, which is the location of the business. This combination creates a stunning interior design by Janet Brooks and her team. 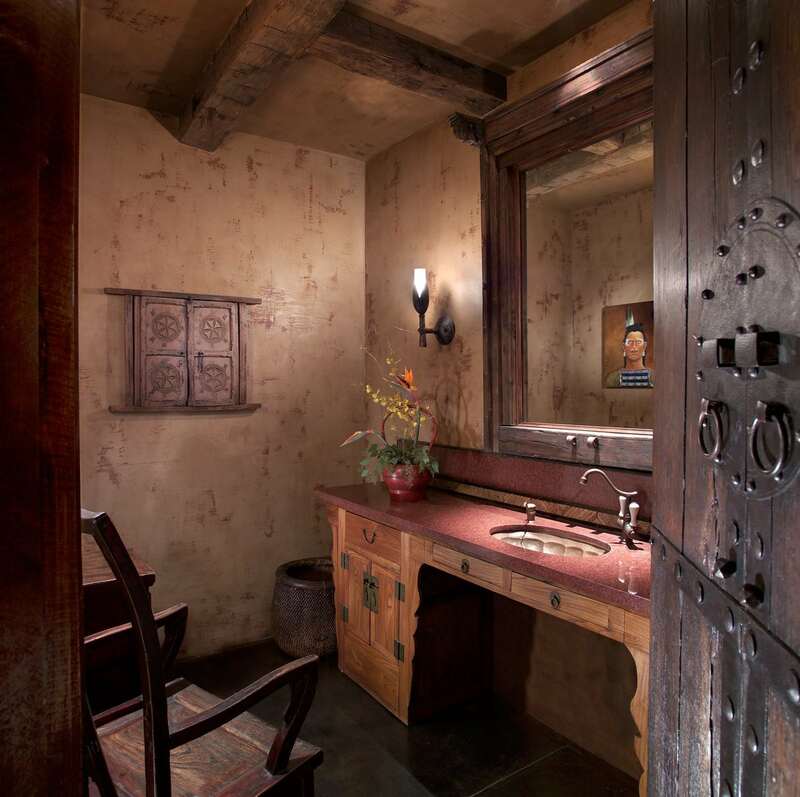 Reclaimed beams from the western part of the United States are combined seamlessly with doors and repurposed Chinese furniture. Walls of plaster with integral pieces of straw contribute to a tribal/rural feeling that could be from any cultural heritage. 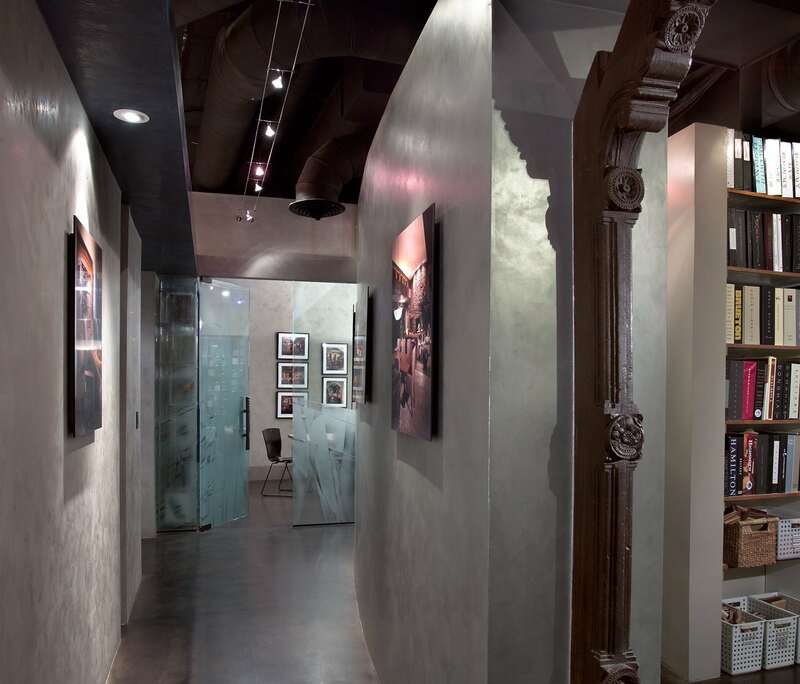 Concrete floors, curved hallways, and glass walls bring the overall design to a contemporary and edgy level.